2018 has been a big year in my household. Both my boyfriend and I celebrated our 30th birthdays and both of us went all out, using the milestone as an excuse to host major celebrations for our friends. I spent a lot of time trying to find the perfect venue, Googling “info on where to host your birthday party in Cape Town” – but there don’t seem to be too many traditional “venues” that the average 30 year old could afford. Especially if you add external catering and bar service to the long list of costs. I mean, I’m not about paying wedding venue prices for your birthday party! So I searched high and low for bars and restaurants that offer venue hire or minimum spend, ranging from casual get-togethers to lavish lunches. 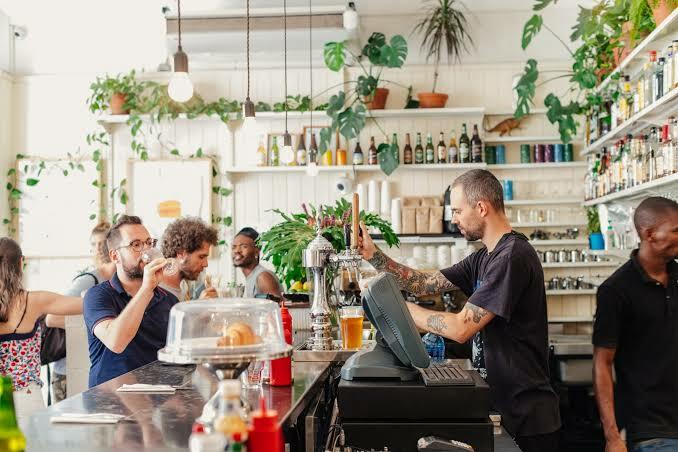 I’ve included a variety of restaurants and bars in and around Cape Town that offer event options for every type of celebration – and every budget. 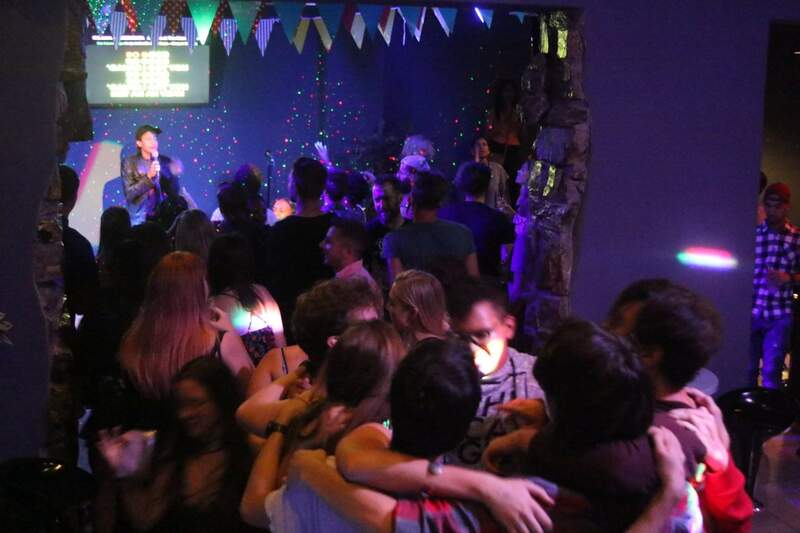 Whether you’re looking to host a big karaoke night or a long Sunday lunch, one of these venues could just be the perfect place to host your party and make your next birthday one to remember. Sgt Pepper Long Street Cape Town. 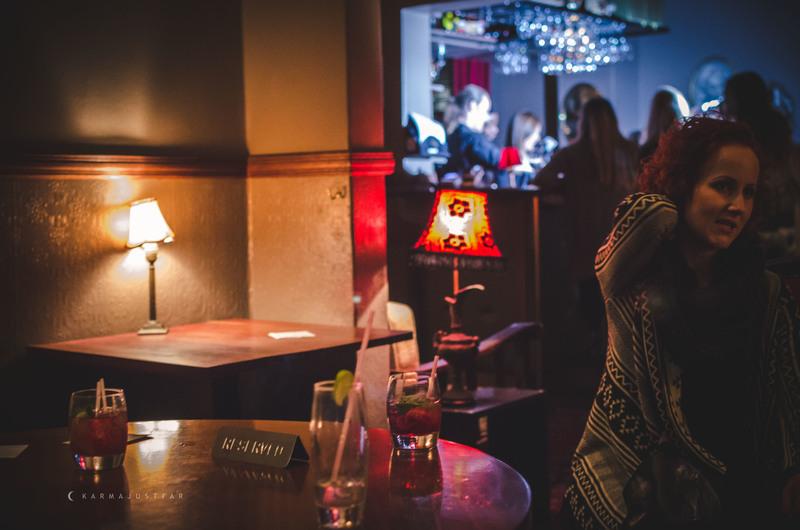 Known for late night 80’s dance parties and an ideal location on busy Long Street, Sgt Pepper is perfect for big groups that want to party into the night. They have several different options, ranging from indoor to outdoor and seated to standing. Tjing Tjing truly is an eclectic offering based in the heart of the city, offering a variety of unique experiences inspired by Japanese food, drink and culture. The venue is made up of four different sections: Tjing Tjing Torii (casual Japanese food inspired by the Tokyo scene), Momiji (fine dining Kaiseki menu), Momiji lounge (a dimly-lit cocktail lounge) and Tjing Tjing rooftop bar. Minimum Spend / Venue hire fee: A venue hire fee depends on the day of event and which venue you choose, starting from R20 000. The Manila Bar is known as one of the best karaoke bars in Cape Town. A casual environment that’s sure to guarantee you a good time and a late night. Plus, birthday celebrants have free entry! Bouchon Wine Bar & Bistro is a relaxed yet sophisticated environment, with a real focus on wine. Minimum Spend / Venue hire fee: The venue hire free ranges from R20 oo0 – R25 000. The cellar table starts at R200 per person. Alexander Bar, Strand Street Cape Town. Alexander Bar attracts both the old and the young. Their beautiful vintage decor includes an actual working dial phone which guests can use to communicate with each other between tables and if you dial 9, you can order from the bartender! True Italic has been voted one of the Top Ten Italian Restaurants in Cape Town. Known as a modern take on the traditional family style Italian restaurant, it’s got a real Italian vibe. Jackie’O is the perfect venue for something truly special and unique. A 115ft luxury yacht, set in the heart of the V&A Waterfront, with a beautiful view of Cape Town. Adventure and creativity are the words used to describe Drifter Brewing Company. With an authentic range of craft beers and stunning views of Table Mountain from the bar area. La Mouette brings French culture to Cape Town with their menu and vibe. For a party focussed on great food in a stunning setting, this is the perfect spot. The Piano Bar, Napier Street Cape Town. Inspired by New York, with a distinctive African taste. The Piano Bar brings good food, drinks and their speciality, music together along with one of the best views of Cape Town. One way to describe Sky Bar would be rooftop luxury. With open air views and a swimming pool, Sky Bar can take your summer party from daytime chill to night time vibe. Minimum Spend / Venue hire fee: A venue hire fee is dependent on the amount of people per booking, starting from R7500 for a minimum of 10 people. Situated in Woodstock, The Taproom at Devils Peak is a craft beer gem. A converted Salt River warehouse, creating a combination between a pub and a restaurant. Cosy and casual, The Striped Horse is located in Muizenberg and is one of a few local favourites. It’s a stones throw away from the beach and offers live music. Minimum Spend / Venue hire fee: There is no venue hire/ booking fee, however advanced notice needs to be given. There is a minimum spend of R200 per person. 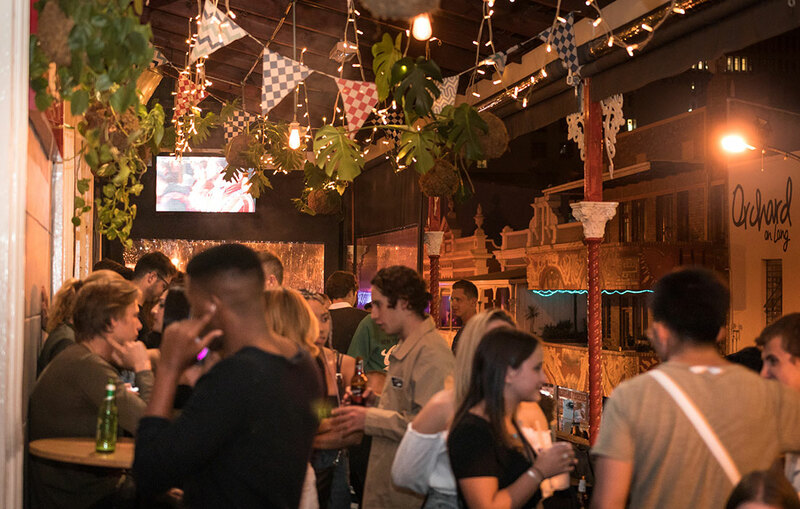 From Bar Olympics, to Party Starters and Keg tables, Beer House caters for everything you’ll need for what I call “a big jol” and party all night long. Clarke’s, Bree Street Cape Town. Clarke’s is always busy and easily transitions from day to night. They’re also really well known for the delicious menu catering for breakfast, lunch and dinner. Minimum Spend / Venue hire fee: Fee is dependent on the client and the number of people, starting with a R500 deposit for a minimum of 16 guests.